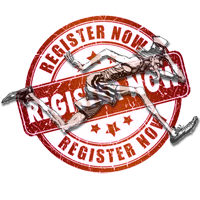 Because of the huge success of the 5K trail run back added to the race in 2014, we have added a 10K trail run. 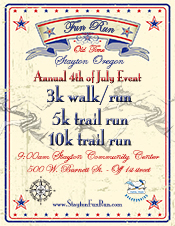 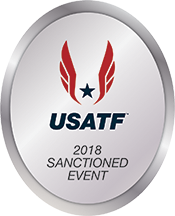 The 4th of July Stayton Fun Run is now offering this unique trail run using the improved Stayton middle school trail. 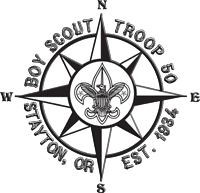 The trail section is nearly 3k with a nicely groomed base and a healthy 135 foot elevation increase throughout the trail. 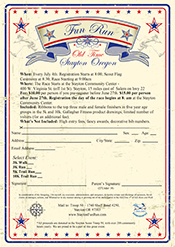 We believe this will add a great challenge to the 10k and terrific break from the mundane asphalt.